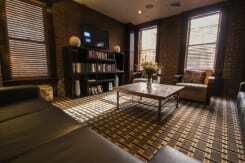 The Broadway Hotel and Hostel is located on Broadway in the Upper West Side of New York. 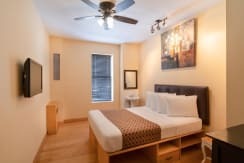 We are a short walk away from Central Park, Columbia University, St. John The Divine Cathedral and the Red Line subway. The subway leaves you in Times Square in just a few minutes. Bus stations are just one block away. 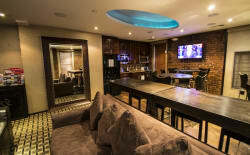 We are also within walking distance from a variety of restaurants, clubs, pubs and lounges. 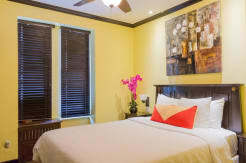 We offer many services and facilities to our guests and make sure they enjoy they stay with us. Our friendly multi-lingual staff is happy to help you at any time with any queries and also we have 24 hour security. There is no curfew or lockout at The Broadway Hotel and Hostel. 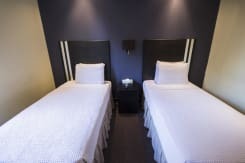 Entertainment at the Broadway Hotel and Hostel includes the Club Tour, where you experience the New York City nightlife, skipping the lines and receiving discounts on drinks. 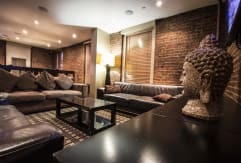 The Walking Tour, a tour that takes you around the historical and exciting sites and attractions in New York and the Pub Crawls, visiting a number of interesting bars, pubs and lounges offering cheap drinks and meeting new people. • Club Tour - Experience nightlife the way it should be in New York City. No waiting on line, discounted drinks and lots of dancing fun! • Walking Tour - Come join us as we tour around exciting New York City. Visit historical and exciting places. 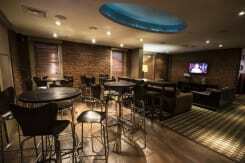 • Pub Crawls - Visit various cool bars and lounges where cheap drinks are always available. 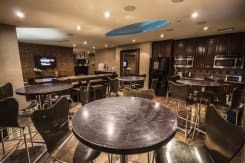 • Computer Kiosks With Internet Access And Printer In Guest Lounge. 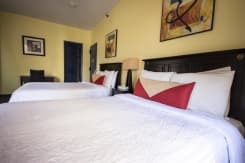 •	24 hour cancellation is required. 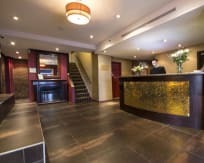 Please notify us directly if there is any change to your arrival and reservations past midnight cannot be guaranteed unless you have arranged it with us. 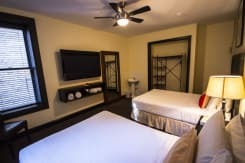 •	Promotions: discounted rates are subject to availability. 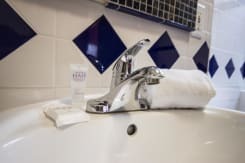 Please contact us directly if you require 10 beds or more. Group rates will be applicable. Reservations are guaranteed until 12am (midnight) on day of arrival. Anyone arriving late must call and confirm for late arrival.Please note that prices do not include taxes. 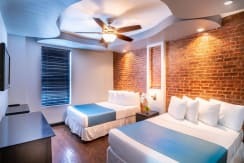 An additional 14.75% New York City hotel tax and a $3.50/room/night occupancy fee will be added to your balance to be paid on arrival. We accept cash, travellers� cheques and credit cards - visa, mastercard, american express. A valid, government-issued ID is required upon check-in. We do not accept New York State residents. 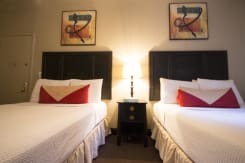 We have a 72hr cancellation policy. There is a 14-day maximum stay policy. 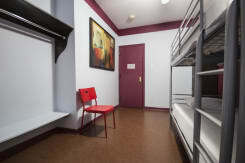 We accept groups with a maximum of 10 people here on Hostelworld. 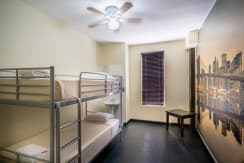 Bookings of more than 10 beds must contact the hostel directly. Group rates apply.